Like Seattle, the Red Lion Hotel on Fifth Avenue is distinctly different. Whether you are in town on business or pleasure, our impeccable service and casual northwest flair will make your stay comfortable. Our 297 guest rooms offer stunning views of Elliot Bay and the city and feature amenities such as our new StayComfortable Beds, bathrobes, Bath & Body Works amenities, on-demand movies and Nintendo 64, and refrigerators. On-site services include concierge and bell staff, free high-speed wireless Internet access, a 24-hour business center (for a fee) and a 24-hour fitness center. We also feature two restaurants the fifth floor Terrace Garden, including downtown Seattle?s largest outdoor dining deck and seasonal summer entertainment on the patio, and Elephant and Castle British Restaurant and Pub. 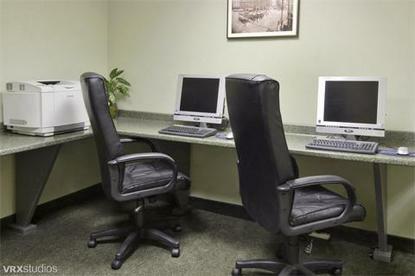 Secure, underground parking is available for a nightly fee of $28.00 plus tax. Please note that garage clearance is 6'2." The hotel is walking distance to the 5th Ave Theatre and the Paramount Theatre, Pike Place Market, the Washington Convention and Trade Center and retail shopping including Macys and Nordstrom flagship stores. The Seattle Art Museum, Benaroya Hall, and the Monorail to the Space Needle and Experience Music Project are just steps away. The hotel is also positioned for convenient access to Qwest Field, Safeco Field, and to Key Arena. We are a mile from Seattle University, 6 miles from the University of Washington and its Medical Center and from the campus of Seattle Pacific University.The Red Lion Hotel on Fifth Avenue is a full-service convention hotel with 15,000 square feet of flexible, meeting and banquet space. We can accommodate up to 600 guests for your next conference or special occasion.Please note an early departure fee of $50 applies if room reservation departs prior to scheduled date. Please verify your departure date at check-in. Pets are accepted with a non refundable $20.00 per day, per pet fee.